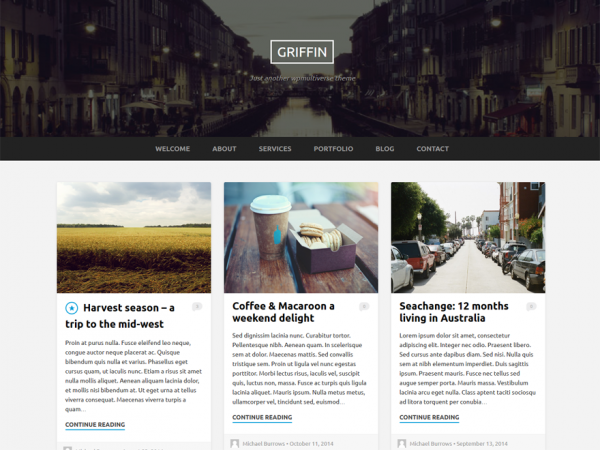 The Griffin theme neatly tiles posts for quick easy viewing. Theme features a custom header image and logo upload so it can be personalised to suit your style. The responsive layout ensures optimal viewing for users on any sized device.